The flagship LipSync product, LipSync Pro provides the best quality total facial animation, including lip-syncing, emotions and full-body gesture support, to really bring your characters to life. Comes with AutoSync, Emotion and Gesture Markers, Eye Controller and full source code. 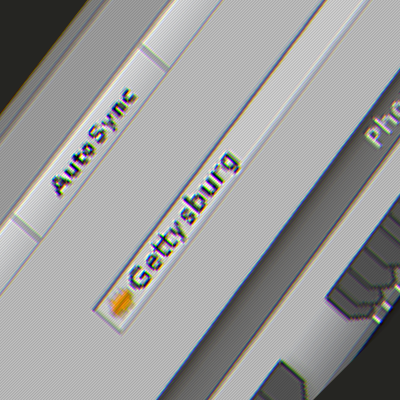 Compatible with Unity 5.1 and up. LipSync Lite is a simplified version of LipSync Pro. It's free to use if you want to get a feel for LipSync before buying, or if you just don't need the features of LipSync Pro. Does not include any extras, but Eye Controller is available as a separate asset. Compatible with Unity 5.0 and up. Please note: We do not provide email support for LipSync Lite. Click a logo to learn more. LipSync Pro 1.32 is now available! Here are a few places you may have seen LipSync Pro in use. A third-person stealth hacking game set in a neon-soaked cyberpunk dystopia. Find out more. The surreal follow-up to the hit game from the makers of The Stanley Parable and Rick and Morty. Find out more. A 2D Point-n-click adventure starring Jeff, a gamer making his way through the Pixelverse. Find out more. Want to have your game or project here? Get in touch! Creates reusable animations, not tied to a single character. 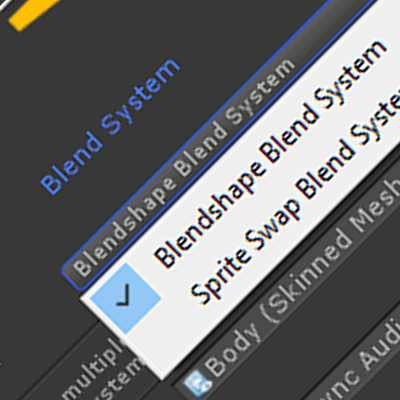 Blend Systems allow support for any type of model or sprite. Cross-platform - works with builds for PC, Mac, Linux, iOS, Android and more. Emotion Poses allow for full facial animation as well as lip syncing. The Gesture track allows separate full-body animations to be cued along with phonemes and emotions. AutoSync - automatically detect phonemes in an audio clip. Phoneme Sets - Use different sets of phonemes for different purposes or languages. Includes a free copy of Eye Controller. Phonemes are the core mouth shapes that create lip-syncing. Emotions are the overall facial expressions that give more meaning to the dialogue. Gestures are larger, sometimes whole-body animations that underline important words or sentences. 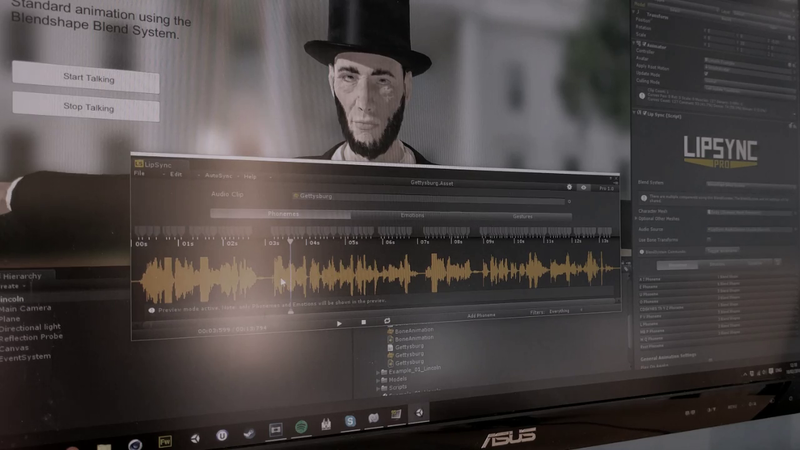 With a fully-featured Clip Editor that's focused on ease-of-use, including audio scrubbing, a zoomable timeline, marker multi-selection, rebindable keyboard shortcuts and a real-time animation preview. Plus, AutoSync allows you to set-up phoneme data for an entire clip in just 2 clicks - now Mac OS compatible! The Pose Editor gives you the tools to mix blend shapes and bones together to get the best look for each Pose on your characters. It also includes a presets system, letting you store your character setups, and use them on other compatible characters. On top of all that, LipSync's animation files can be played back on any LipSync character, so you're never wasting time repeating yourself. 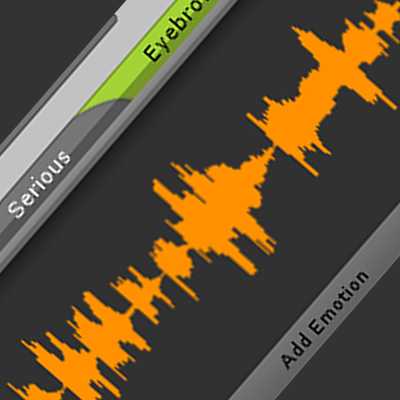 LipSync is designed to fit into your workflow without getting in the way. 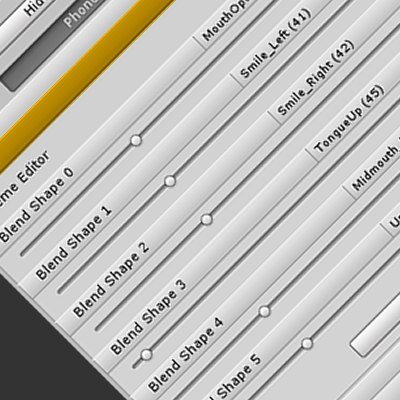 Its editors are dockable, support both light and dark skins and fit in with the rest of Unity. In addition, LipSync's Blend System component allows it to work with almost any method of creating and displaying a character, from Blendshapes and Sprites, to support for third-party character systems like Morph3D and UMA. If you want facial animation for your Unity game or software, there's a version of LipSync to suit you. Already own a LipSync product? Enter your order/invoice number from the Unity Asset Store to access your downloads. Your Order number is the 9 - 12 digit number preceded by "OR" in your order confirmation.